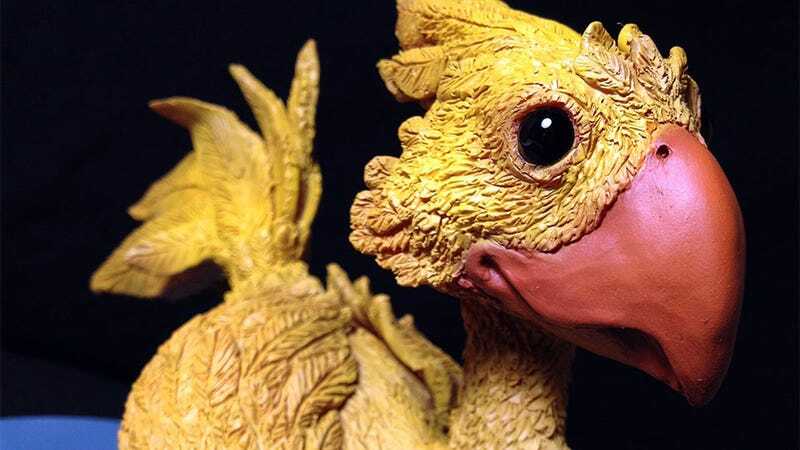 Artist Jenna Antonelli built this Chocobo, from the Final Fantasy series, as a commission piece. Whoever you are that paid for it, you are a lucky man/lady. The whole thing was sculpted by hand. Blow one of these images up to see the detail on the feathers and you'll appreciate just how much work that must have taken. You can check out some work in progress shots at Jenna's site below.